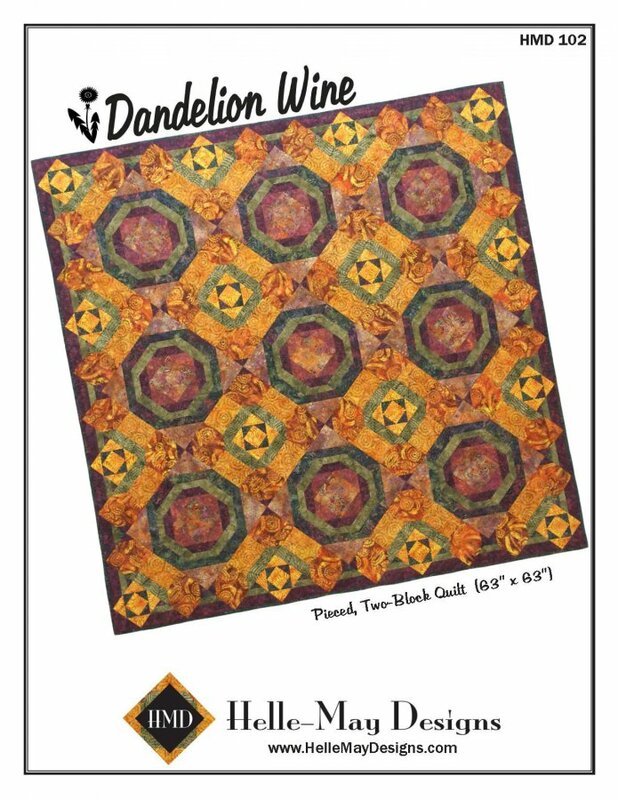 HMD-102 Dandelion Wine (63" x 63") is a pieced, two-block quilt. The blocks measure 13 1/2" (finished). This is not a quilt for beginners, but with some care the directions are complete enough for a confident beginner and beyond! I used a total of 11 different batiks. Choose a similar pallette or have fun and create your own color combination! In October 2008, I had the pleasure of meeting Moira and Adam Dewar, the owners of Island Batik, Inc. at Fall Market in Houston. 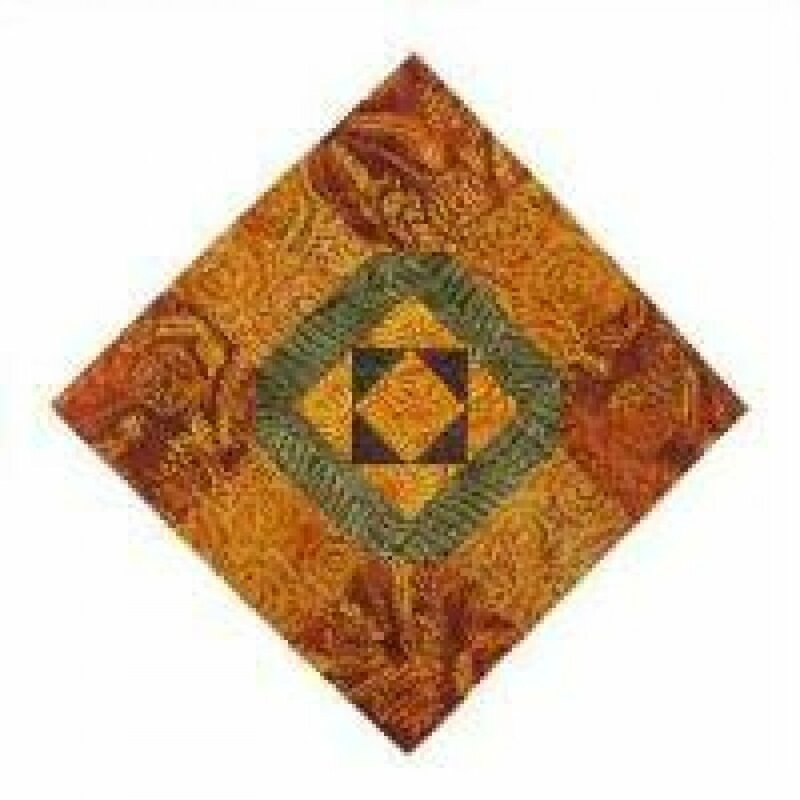 They gave me an opportunity to design a quilt to promote their beautiful batiks using any of their new fabric lines. 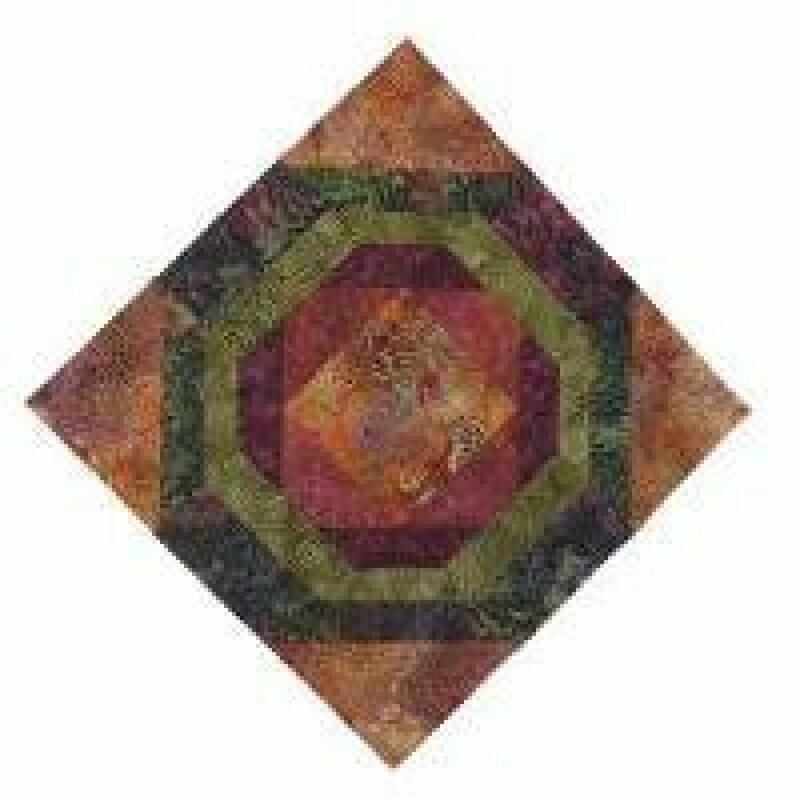 Originally created to hang in the Island Batik booth at the 2009 Spring Market in Pittsburgh, Dandelion Wine and was the initial gallery image on the Island Batik website for quite some time . 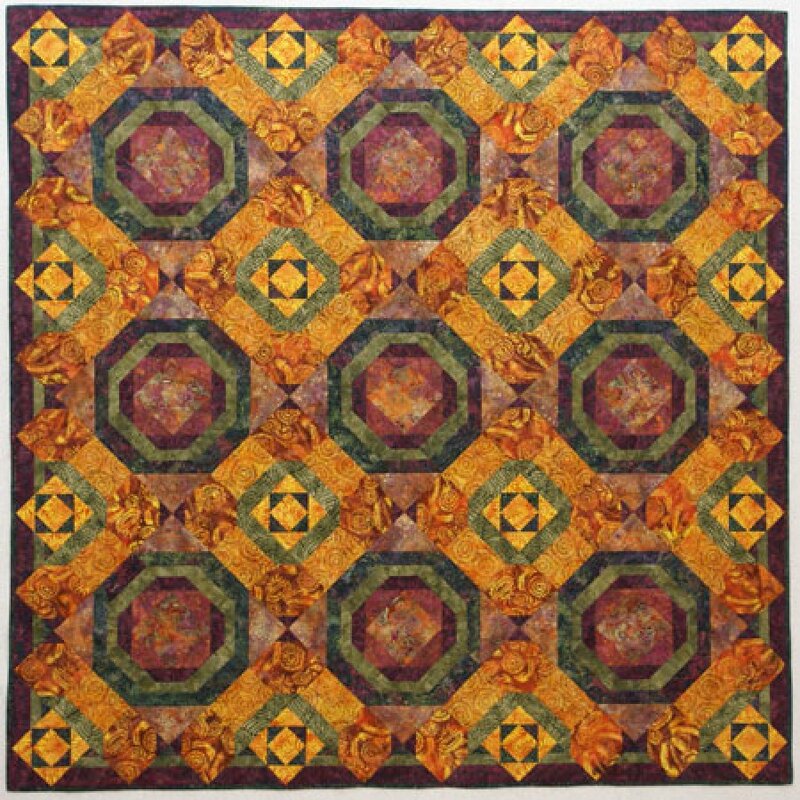 The pattern was originally published in the Oct/Nov 2009 issue of Mark Lipinski's Quilter's Home Magazine (the last issue with his mug on the cover.) However, that version of the pattern was written by a freelance pattern writer by looking at the finished quilt and unfortunately it contained a few errors. After quilting, it can be pretty difficult to accurately determine the correct initial patch measurements. Nevertheless, it was exciting to have the quilt published in the magazine. 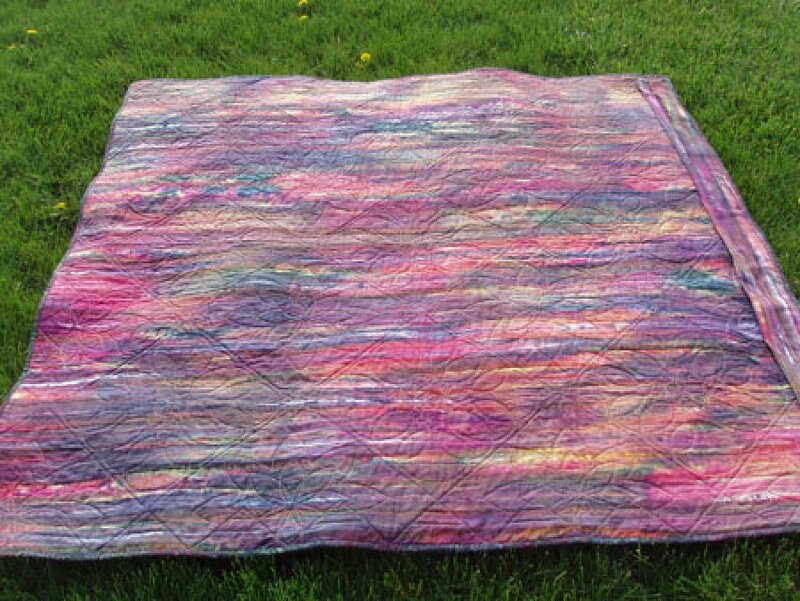 Earlier in 2011, Connecting Threads had also kitted up the pattern in a more spring-like pallete of batiks and it looked equally as stunning. 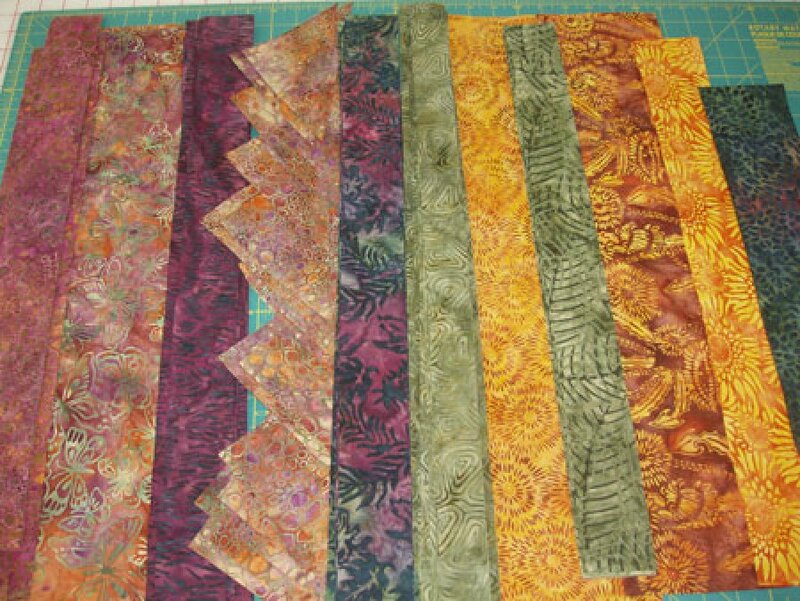 I chose fabrics from three of their lines: Sangria, Olive Latte', and Burgundy Forest. Those really are dandelion elements in the orange/yellow fabrics. As you may have already noticed, I enjoy working in the green-violet-orange secondary triad from the color wheel. In all, I used 11 different fabrics. 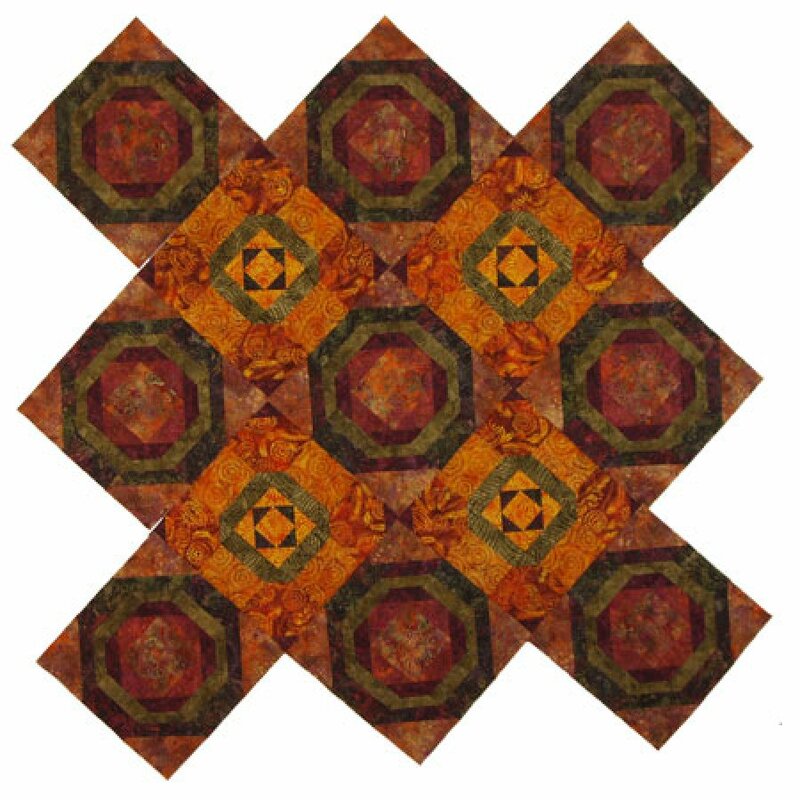 The quilt is made from two different original 13 1/2 " blocks. Isn't this fabric gorgeous!? This is what Moira sent me for the backing. It's almost a shame it's on the back! Hopefully, you can see a bit of the quilting. I thought only appropraite to photograph it against my lawn filled with Dandelions! The finished quilt measures approximately 63" x 63."